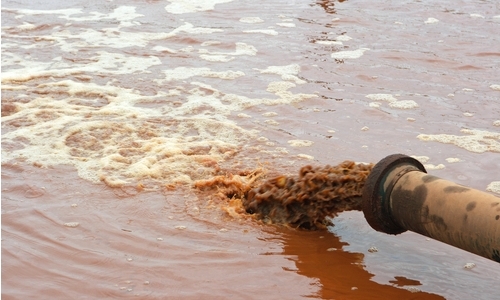 Wastewater or waste water is the water which is polluted, contaminated or affected in quality. Process of removing contaminants and impurities from wastewater is kown as Wastewater Treatment. Eg. Used water discharged from homes, farms, industries, offices etc. The purpose of wastewater treatment is to remove all contaminants from wastewater so that it can meet quality standards announced by pollution control board or to reuse for other purpose. 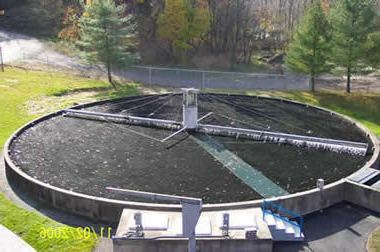 Wastewater treatment process is depends upon the purpose of treated water to be used. As of now there are many processes are available for wastewater treatment but let’s categorise them as physical, chemical and biological. These processes, which consist of series of unit operations, are applied in different permutations, combinations and sequences based on quality of effluent and its purpose of reuse after treatment. Physical Wastewater treatment processes are very simple and preliminary processes of treatment processes. In these processes contaminants are separated based on their physical properties. These processes mainly comprise sedimentation, air stripping, flotation, screening and filtration. Chemical Processes use chemical properties of impurities or contaminants. Mainly in chemical processes coagulation, disinfection, carbon adsorption, oxidation and reduction, ion exchange, membrane processes and precipitation. Biological processes utilize biochemical reactions like biological filtration and activated sludge Processes. Also Wastewater treatment Processes generally categorized based on quality of water they are expected to produce. Scientifically they can be categorized as Primary treatment, secondary treatment and tertiary treatment. Tertiary wastewater treatment is also called as advanced waste treatment process. This process comprises pre-treatment step and sedimentation step. It is used to remove large floating and suspended solids which could interfere with subsequent treatment processes. Also in screening process screens of various sizes are used depending upon which solids is need be removed. After screening process water enters in grit chamber for the removal of inorganic grit, consisting cinders, sand, gravel and pebbles. In this process Organic matter which is soluble or in colloidal form is removed and where primary process is ineffective in removing it. Here organic material demands high amount of oxygen which must be reduced so that effluent can be discharged in water bodies. Waste water can be treated by decomposing of organic waste, aerobic biological treatment activated sludge process. This process may involve physical, chemical and biological processes or their combinations depending upon impurities or contaminants to be removed. Generally these processes are employed to remove residual soluble non-biodegradable organic compounds. In above all processes advanced or tertiary wastewater treatment Processes are very expensive and are only used when water produced is required to be higher or good quality than that is produced by secondary wastewater treatment process so that it can be put to some form of reuse. The main Goal is to remove Suspended solids, BOD, Plant nutrients, Dissolved Solids and Toxic Substances to certain extent. In India, Main focus of attention in the area of water pollution control is the need to control water-borne diseases like typhoid and cholera. The relatively simple techniques like filtration or chlorination of drinking water can save thousands of lives. Also there is need to control oxygen-consuming wastes so that there would be no harm to water species already present in water-bodies. Most important cost of necessary programs may sound high initially but considering inherent dangers of releasing wastewater without treatment it is reasonable. The topic is interesting. Every country developed or developing countries must treat their waste water for recycling back to the public for consumption. Pollution of water especially on river, lakes, estuaries , can be eliminated by treatment of water. Thank you Mark for your valuable feedback & comment. This is very motivational for us. We will try to put some more interesting posts and topics which will help students and professionals understand environmental pollution, monitoring ,health hazards of pollution and tips to reduce it. 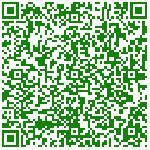 Trust us your comment & test is highly appreciated. Superb blog… because its very use for me. Thanks for your sharing.